There’s a saying that goes, “You can live in any city in America, but New Orleans is the only city that lives in you.” Here in New Orleans we smile at strangers passing us on the street, use the Saints chant “Who Dat” as a proper greeting, and take our alcoholic beverages with us in a to-go cup. As one of the most unique and culturally diverse cities in all of the country, it’s hard to go to New Orleans and not fall in love with the music, the food, the people, and the city itself. New Orleans is a city full of history, culture, art, and music—and is most definitely a city that likes to party. We’ll throw a party to celebrate just about anything (hence it is a major tourist destination). In fact, the New York Times just listed New Orleans as the top place in the world to visit for 2018. With this year being the 300th anniversary of the city, there couldn’t be a more perfect time to check out this wonderful place if you’ve never been (or to go back again!). There are several major events throughout the year (usually involving music, food and alcohol), but any given day in The Crescent City can be quite an experience. From the historic French Quarter to the revamped Warehouse District to the beautiful Garden District, there is no shortage of places to enjoy a fantastic meal or cocktail. This list could go on and on, but below are just a few of my favorite places and things to do in the city that I will always call home. This is my go-to hotel and top recommendation for friends visiting the area. With its prime location on Royal Street and Iberville Street, you’ll be close to all of the action of the French Quarter—but you don’t even have to leave the hotel to visit a notable New Orleans establishment. The Carousel bar located in the lobby of the hotel has long been a beloved drinking spot for the hotel’s guests and locals alike. Whether you stay at the hotel or not, you must grab a seat at the city’s only revolving bar and enjoy a classic New Orleans cocktail. New Orleans is known for its unique architecture, and some of the city’s most beautiful homes are located in the Garden District. This residential neighborhood is home to not only old, grandiose Southern style mansions and majestic oak trees, but also to trendy restaurants, shops, and bars, making this an ideal location for your stay while in the Big Easy. A hotel classic, the New Orleans Ritz-Carlton location has one of the biggest and best spas in town. Located on Canal Street, you’ll be in walking distance to the French Quarter and Warehouse District. Or, you can step right outside and hop on the streetcar for an enjoyable ride uptown. The luxurious hotel can be pricey but you can book your stay during weekdays or summer to get a lower rate. 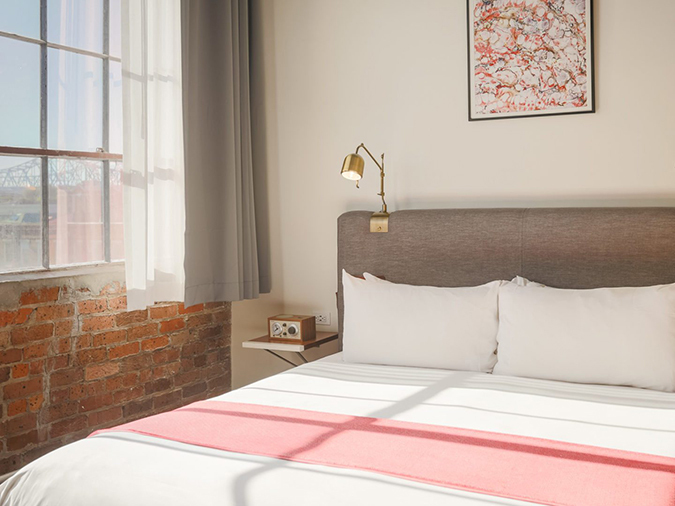 This warehouse-turned-boutique-hotel located in the Arts and Warehouse District scores points with me for its cool, industrial vibe featuring hardwood floors, exposed brick walls and unique art. 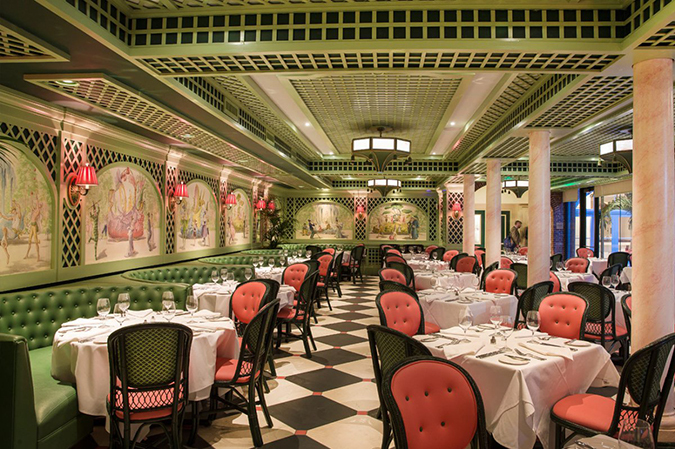 Another noteworthy feature is that the hotel is home to one of New Orleans’ most critically acclaimed restaurants, Compere Lapin, owned by renowned Chef and Top Chef runner up, Nina Compton. One caveat however: The nearby Lafayette street can be quite noisy with nightlife, so this might not be the best choice if you’re looking for a good night’s sleep. The upscale and newly renovated Windsor Court Hotel offers a spacious retreat from the city. The English- and French-inspired décor makes you feel like you’re in another country, but all you have to do is look out of your window for a view of the Mississippi River to remember you’re still in the Big Easy. The hotel’s location in the CBD will keep you close to lots of places on your NOLA to-do list. A popular brunch spot for locals, Atchafalaya is known to have a killer Bloody Mary bar in addition to a delicious contemporary New Orleans menu. One of the best times to go is for weekend brunch when live jazz music is served up with their amazing dishes. Just be sure to make a reservation to ensure you’ll get a table at this hotspot. 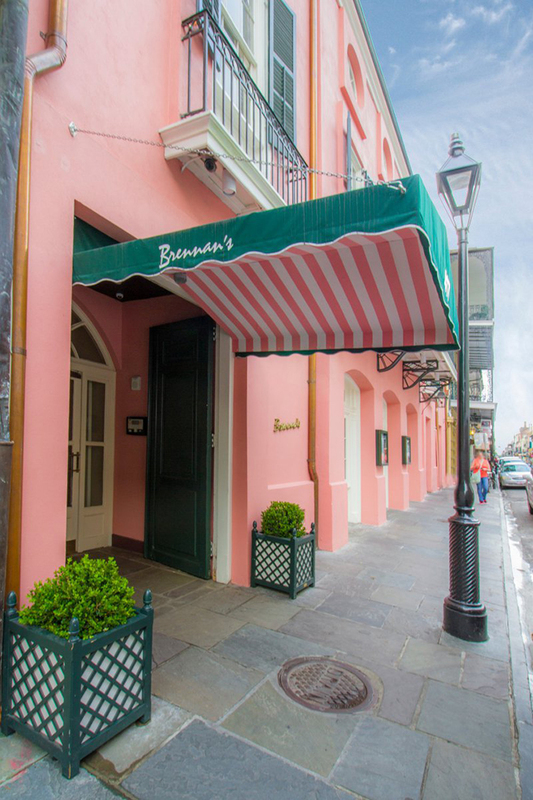 Brennan’s is a classic upscale Creole New Orleans restaurant known for their brunch and for the creation of the New Orleans famous dessert, Bananas Foster (which they make tableside). Their cocktails are about as popular as their dishes (I highly recommend the brandy milk punch). It’s the perfect way to start off the day in NOLA. Just don’t forget to save room for dessert! This is one of the best restaurants for fresh seafood dishes cooked over an open wood fire grill. The steak tartare, raw oysters, and whole fish are some of their most requested dishes, but you really can’t go wrong with anything listed on their menu…. Including the cauliflower and fontina gratin—delish! With a name that is French for “pig,” it’s no surprise that pork is a featured item on the menu. But you can find all kinds of good ol’ Cajun Southern cuisine at this top-rated restaurant in the Warehouse District. Their adjacent sandwich and butcher shop, The Cochon Butcher, comes highly recommended as well. You’ll feel like a New Orleans native walking into this corner restaurant in the Mid-City neighborhood. 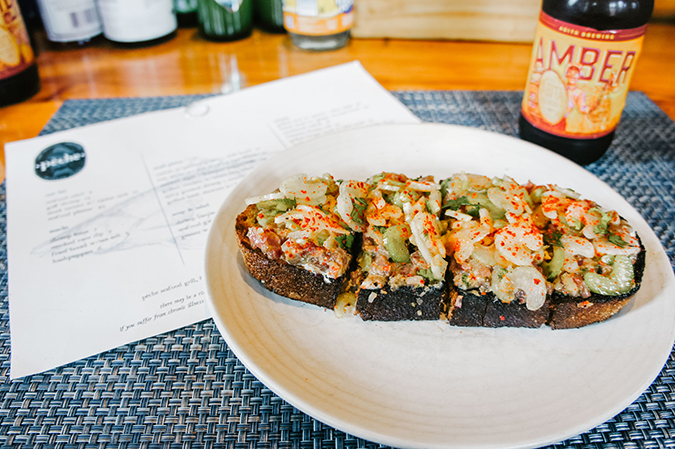 With an extensive menu covering everything from po-boys to pizzas (cooked over a Brooklyn-style stone pizza oven), it’s hard to decide what to order (but the crawfish beignet is a must!). For the quintessential New Orleans po-boy, this is the place to go. It’s reputation for having some of the best po-boys in the city is as old as the restaurant itself. The small yellow building sure isn’t fancy, but that doesn’t stop residents and tourists from going here time and time again. Don’t be surprised if there’s a line of people out the door! I love the charbroiled oysters at Drago’s, as do most of the city’s residents. The carefully selected fresh oysters are hand-shucked in the restaurant, covered with a combo of butter, herbs and cheeses, and cooked over the grill. Lots of other amazing seafood dishes can be found on the menu as well, but the oysters are by far their most popular item. You simply cannot go to New Orleans and not have a beignet from Café Du Monde. It’s a fried, warm, sweet, classic New Orleans treat. And it’s best paired with cafe au lait, a blend of coffee and chicory mixed half and half with hot milk. There are multiple locations, but the original Café Du Monde stand is located in the French Market. Making homemade pralines is a treasured tradition in Louisiana. And the next best thing to homemade pralines are Aunt Sally’s. These candies—which are made of pecans, butter and sugar—aren’t healthy but sure are delicious. Also, the individually packaged candies at Aunt Sally’s make a great gift to bring back home to those poor souls who weren’t lucky enough to go to New Orleans themselves. The Hurricane is probably one of New Orleans’ best-known (and strongest) cocktails, so a trip to Pat O’Brien’s bar, the inventor of the well-known drink, is surely a must. Located in the French Quarter, the sprawling bar has indoor and outdoor seating including a beautiful courtyard, but be sure to check out their dueling piano lounge and make a song request while you’re there. This small, vintage-inspired rooftop bar is a new NOLA hotspot and an ideal bar destination on a clear evening. 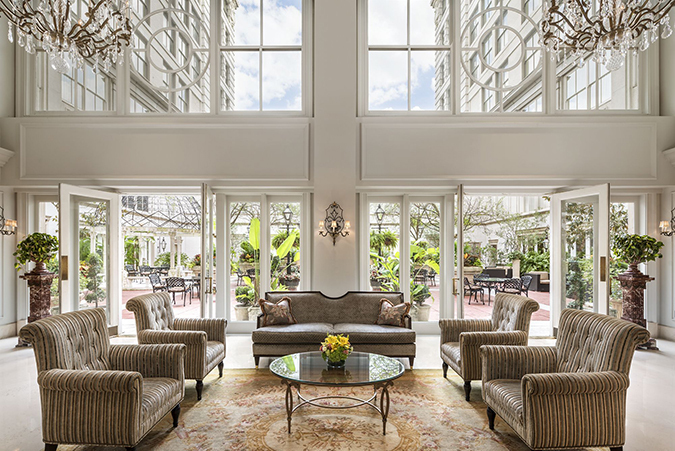 Located in the historic Pontchartrain Hotel, all you have to do is take the elevator upstairs to enjoy a fabulous cocktail and one of the best views of the city skyline. This place has the feel of a classic New Orleans bar. It’s small, dimly lit and has a long list of craft cocktails. It’s a great getaway spot when you want to escape from all the craziness happening on Bourbon Street. Often imitated but never duplicated, the frozen daiquiri is a Louisiana staple. You can find a daiquiri shop on just about every other block in New Orleans. With endless flavors (ranging from Pina Colada to Jungle Juice to Crawgator) and alcohol proofs, you’re sure to find one you’ll love. You can even drive through to pick up your beverage, just don’t put the straw in the cup while you’re in the car or it becomes an open container. Bourbon Street might be the most well known part, but the French Quarter has so much more to offer its visitors, as it is also filled with eclectic shops, art galleries, and beautiful Spanish and French architecture. I highly recommend spending a day walking around the historic area (with a to-go cup, of course), being entertained by the talented street performers, checking out artwork for sale by local artists in Jackson Square, and stopping by the iconic St. Louis Cathedral. With bar after bar rocking with some of the city’s most talented musicians and performers, this is no doubt the preferred “street” by residents. You’ll definitely want to spend an entire night barhopping from The Spotted Cat, to d.b.a. to Snug Harbor and more. 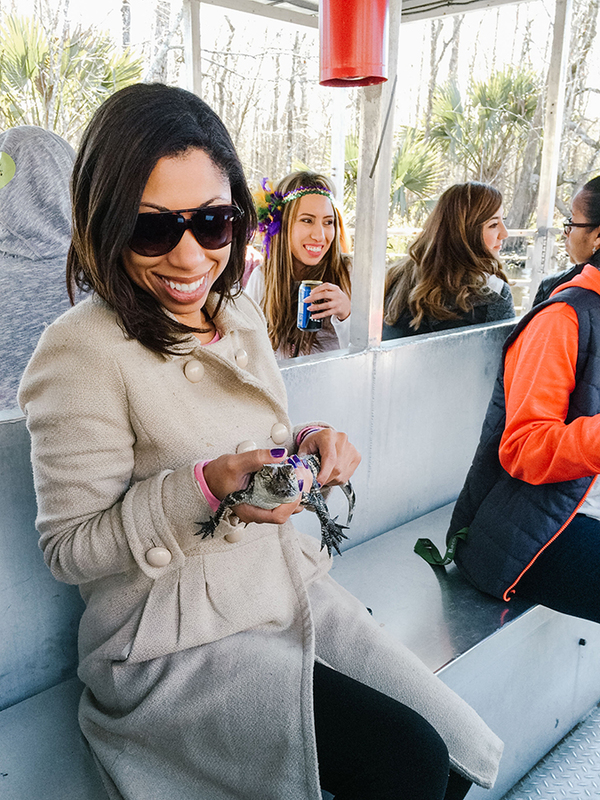 The swamps of South Louisiana are an important ecosystem in the state, so venture out of the city and into the bayou to learn about Louisiana’s wetlands and wildlife on a guided swamp tour. You might even get a chance for a photo op with an alligator. For a fun and inexpensive way to get around town, skip the Uber and hop on the streetcar. For $1.25 one-way, you can travel to the Garden District, the above ground cemeteries, or the French Market all while enjoying the views of the city. The city’s low elevation creates for an uncommon burial system. Due to much of the city being below sea level, burying the deceased above the ground is common practice, making the city’s cemeteries a popular tourist attraction. One of the most visited is the St. Louis Cemetery #1, where the famous Voodoo queen, Marie Laveau, is believed to be buried. Book your tour though the nonprofit Save Our Cemeteries to help support their preservation. This is a great street to eat, shop and repeat. 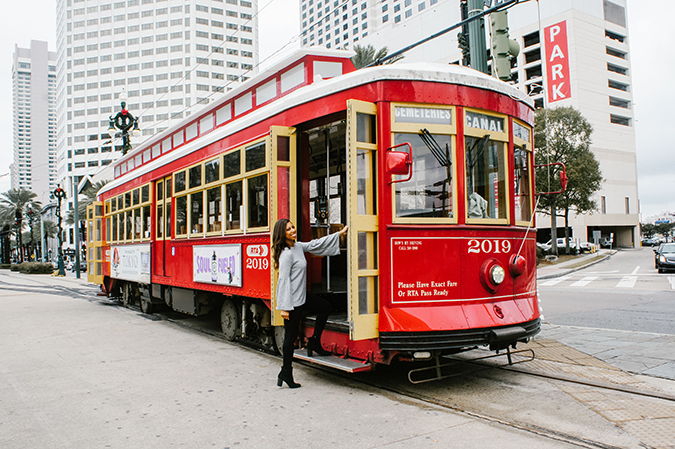 Loved by New Orleanians and tourists alike, you can find blocks of clothing stores, antique shops and boutiques mixed between restaurants and bars, making this strip an absolute shopping haven. Whether you want to browse some art galleries on Royal Street, hit up your everyday stores like H&M, Sephora and Urban Outfitters on St. Peters, or you’re in need of a souvenir to bring back home, the Quarter is home to tons of boutiques and shops, making this a convenient shopping destination. Forever New Orleans and Fleurty Girl are a couple personal favorite New Orleans-themed gift shops that you can find here. At this outdoor market on the outskirts of the French Quarter, you can find anything from fresh fruits and veggies at the Farmer’s Market to handmade crafts at the Flea Market. Vendors are there selling their goods from 10am to 6pm every day. With stores like Saks Fifth Avenue and Tiffany & Co., Canal Place is the place to go if you’re looking for some high-end retail therapy. This beautiful three-level indoor mall is home to over 20 stores, a dine-in movie theatre, the Paris Parker Aveda salon and Morton’s The Steakhouse. Hope you get to make it down to NOLA soon. And as we like to say down there, laissez les bons temps rouler (let the good times roll)! I’d love to hear about your own favorite spots in the city!